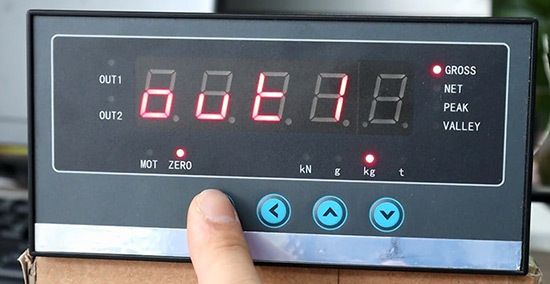 Digital displays (indicators or weight meters) do more than tell you the weight on the scale platform, they actually power the electronic load cells in the scale and register their response. The more sophisticated they are, the more capabilities they have to process information, execute a weighing sequence, or communicate with peripheral devices, such as a printer, computer, or remote display unit. 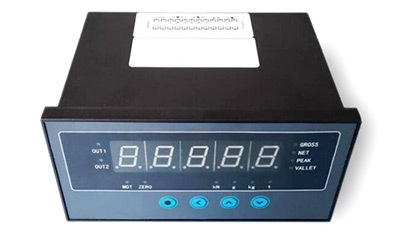 ATO 5 Digit Display Controller offers simple calibration and configuration with options for additional outputs such as 4-20 mA/ 0-10 V analogue outputs and communications ports for connection to PC's, PLC's printers and remote displays . 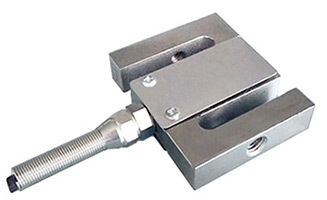 It is designed for cooperating with load cells, force sensors and weighing sensors. When purchasing this display controller, the package will come with the product manual and bracket. Nest we will show you the connection and setting of the 100kg s type strain gauge load cell with this display controller. ATO load cells are very versatile and because of this they have many advantages. S type load cell on ATO.com has capacity range from 5kg, 50kg, 300kg, 1000kg, 20 ton to select, and here we use the 100kg capacity for demonstration. This load cell has 4 lines, red line is EXC+, black line is EXC-, white line is SIG+ and green line is SIG-. (Note: For s type load cell, if tension force is defined as positive force, white is SIG+ and green is SIG-. If compression force is defined as positive force, white is SIG- and green is SIG+.). Firstly, connect the display controller to 220V AC power supply (controller terminals 23 and 24), and a 2kg standard weight will be used. Long press "●" for 2 seconds to enter the first parameter group, then short press "●" until oA (password input) is displayed. 1) Press "<" to change the password. 2) Set the password to 01111 and press "●" to confirm the password. Long press "●" for 2s again to enter the second parameter group. 1) Set the display unit of the weight. You can select "unit" and press "<" to enter the unit setting interface. There are 4 display units to choose (0=t, 1=kg, 2=g, 3=kN). 2) Set the range. Adjust to "F-r" and set to 100kg. 3) Set the decimal point position. Tune to "in-d" and we choose to keep two decimal places. After setting, long press "●" to return to the default interface. Short press ''●'', hold down "∧" for 2 seconds until "cAL" appears. Press "∨" to clear and confirm. Short press "●", hold down "∨" for 2 seconds until "cAL" appears. Press "∧", place the standard weight on the load cell. The setting value is 2.00kg, then short press "●" to save value. Place an object representing tare on the load cell (0.12kg) and press "<" to complete the tare operation. Put a 2kg (1.99kg) weight and you can see that the net weight has been displayed (1.99-0.12=1.87kg). Press the "∧" key to switch the current display value, and the gross weight is 1.99kg. Long press "●" until "out1" appears. Press "<" to enter the alarm output value setting. Set alarm value as 1.90kg and save. Place 2kg weight and test. We can see "out1" alarm light is on, and "out2" setting method is also the same. You can watch video below to know more 5 digital display controller setting instructions for s type strain gauge load cell. How to test a load cell?